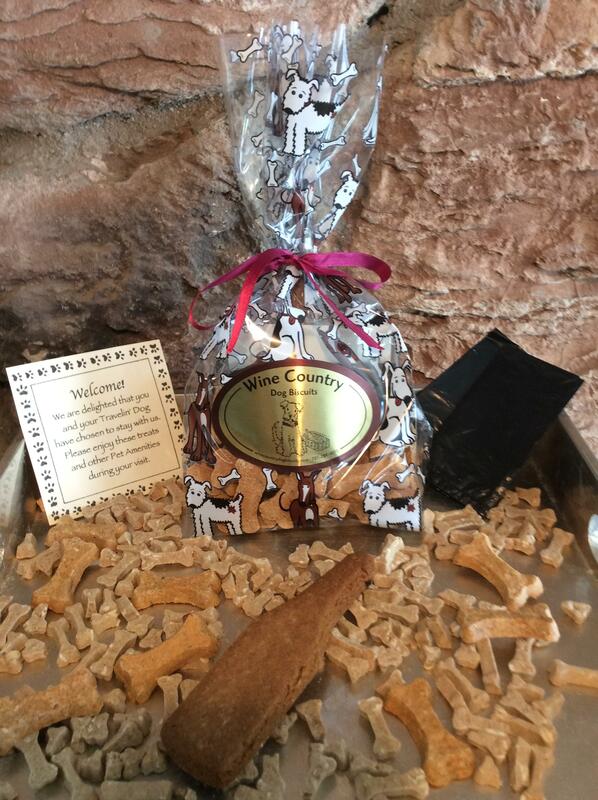 Wine Country Dog Biscuits has been creating pet amenities for Napa, Sonoma and Lake County since 2004. We offer a unique line of wine related specialty products for dogs in a variety of flavors and packaging options. We welcome wholesale accounts and offer custom products and private label packaging to accommodate their needs. We ship anywhere in the United States. 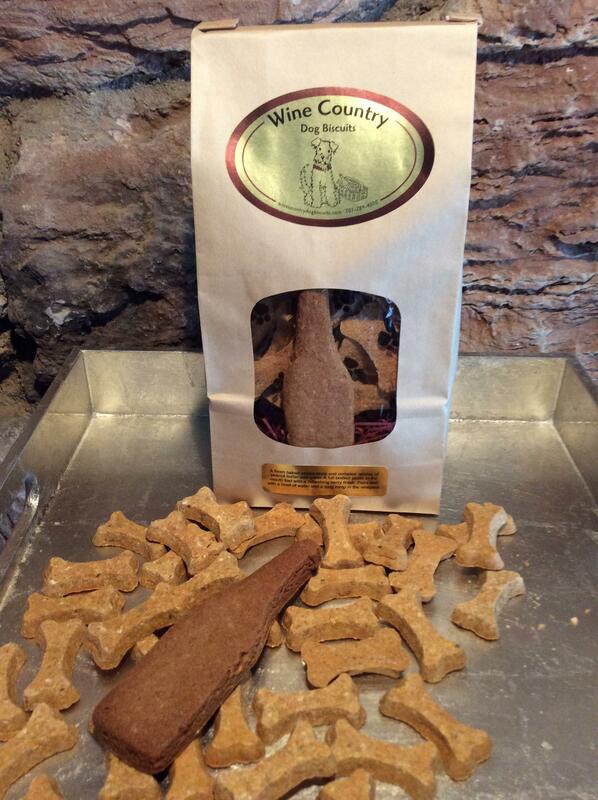 The Wine Country Dog Biscuit collection is perfect in wine producing regions or anywhere that wine is sold or served. 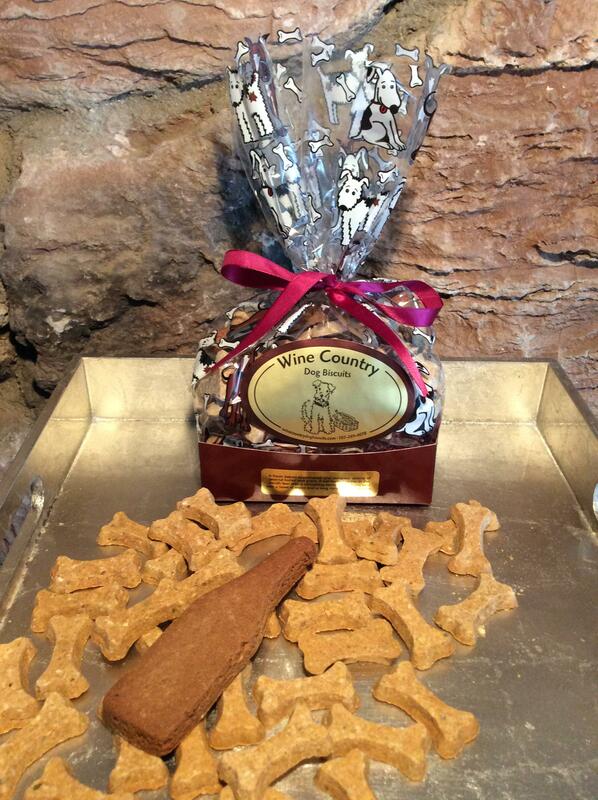 Our biscuits are sold in wineries, hotels, pet boutiques, gift shops and specialty stores. 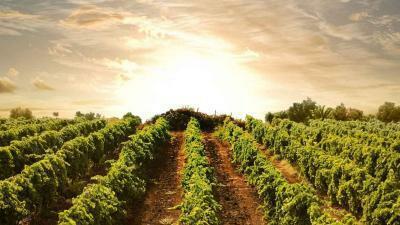 They are featured in many tasting rooms where wine country visitors can enjoy sharing a "Bottle of Wine" or a "Wine Country Picnic" with their dog while they are enjoying their own wine country experience. Our products travel well and are a great way to bring a taste of the wine country home to your favorite furry friend. They also make a great thank you gift for your pet sitter. The possibilities are endless. 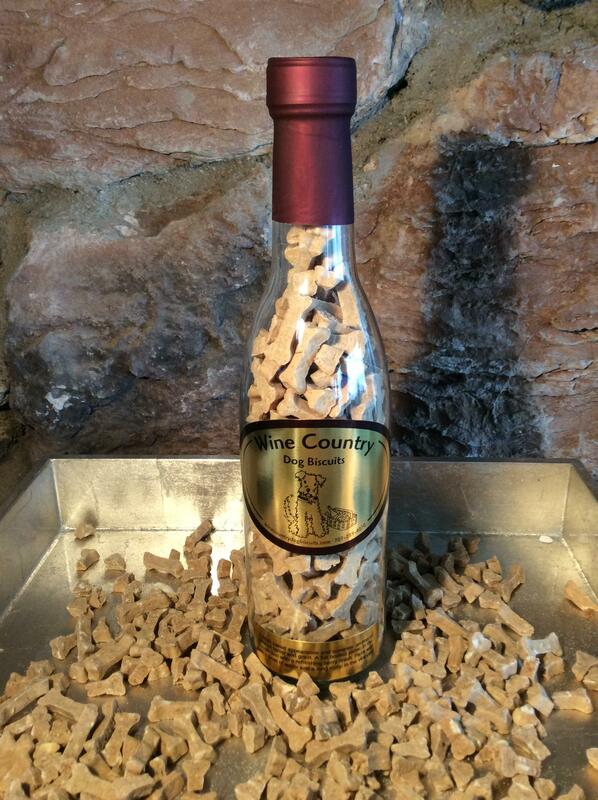 A 375ML wine bottle filled with all natural peanut butter bones. Great for small dogs. A "picnic in a box" with organic cranberry apple wine bottle shaped biscuits and peanut butter bones. Great for medium and large dogs. Organic cranberry apple wine bottle shaped biscuits and peanut butter bones. Great for medium or large dogs. To inquire about wholesale orders, please contact Lynn@winecountrydogbiscuits.com or call (707) 289-4070. We are happy to use your labels on any of our products. Please call 707-289-4070 or email lynn@winecountrydogbiscuits for more information.